(STILLWATER, Oklahoma / January 16, 2018) — The Arts & Humanities Council of Stillwater is taking the lead role from the City of Stillwater in producing and managing the 41st Stillwater Arts Festival. The event will be held April 21-22, 2018 in downtown Stillwater and is being produced in partnership with organizations across the city, including the City of Stillwater, Stillwater Public Library, Sheerar Cultural and Heritage Center, Stillwater Community Center, the Department of Art, Graphic Design and Art History at Oklahoma State University, the OSU Museum of Art, Stillwater Center for the Arts, Modella Art Gallery and Visit Stillwater. “We’re thrilled to have the backing of so many partners across our community,” said Debbie Sutton, president of Arts & Humanities Council of Stillwater. The Arts & Humanities Council of Stillwater, which will celebrate its 50th anniversary in 2018, voted unanimously at its October board meeting to accept the challenge after the City of Stillwater chose to no longer coordinate the event. The Stillwater Arts Festival attracts local, regional and national talent to downtown Stillwater and bolsters tourism as art lovers attend the Spring event. 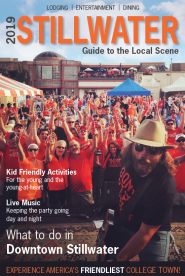 The Stillwater Arts Festival requires financial and logistical resources in order to continue and thrive and the Arts & Humanities Council is seeking donations and volunteer support to insure the ongoing success of the festival. “We’re going to need a total community effort to keep the Arts Festival as a vital cultural event next year and into the future,” Sutton said. 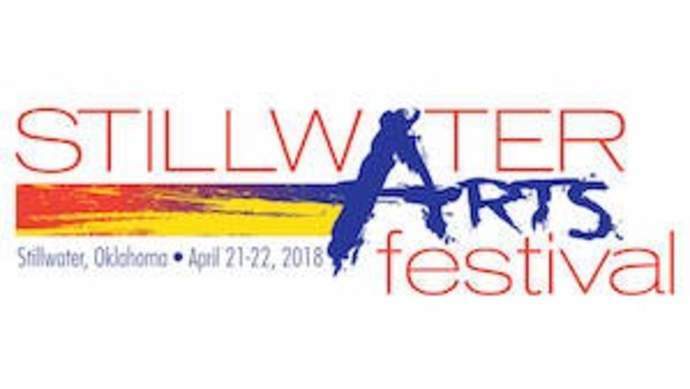 A fundraising campaign including sponsorship opportunities is underway and individuals interested in supporting the Stillwater Arts Festival can find out more information at ArtStillwater.us. To handle the day-to-day details of the arts festival, the Arts & Humanities Council of Stillwater has contracted with Nadia Piotrowsky to raise funds, spearhead the organizing process and work with all the groups involved. Piotrowsky, a singer/songwritwer and Kansas native who moved to Stillwater from Los Angeles in 2010, started the popular Monday@Modella pop-up listening room at Modella Art Gallery in 2017 and is well-versed in producing and promoting a wide variety of events. The public is invited to a meet-and-greet on January 30 from 4:30pm to 6:00pm at Modella Art Gallery, 721 S Main in downtown Stillwater. All are welcome to meet the committee and event coordinator to share ideas, questions and concerns. A Call for Artists is currently underway at ZAPPlication.org. The online application at ZAPPlication.org is free to artists and allows artists to directly upload digital images of their artwork for jury review. The deadline to apply is Friday, January 19. More information and the direct link is at ArtStillwater.us. The Arts & Humanities Council of Stillwater is a non-profit 501(c)(3) organization celebrating its 50th anniversary supporting, coordinating and encouraging educational and cultural organizations in support of the arts and humanities in Stillwater.